I recently moved, and when I opened up the Christmas decoration boxes this year, I was at a loss about how to decorate for the holidays in a new place. There weren’t places for many of the items and I don’t really have the staircases and mantles for the same old garland. I did enjoy hanging the ornaments on the tree, because most of them hold some sort of memory that I was able to share with my helpers. In any case, I am changing it up this year. My in-laws both suffered from dementia. I have learned that the holidays can be difficult when we try to stick with the “traditions.” These are traditions that we built together, but they really must be adjusted to meet the needs of family members with dementia. This meant changing our own expectations for the season … and how we included everyone. It isn’t healthy to expect someone with dementia to get out of a daily routine and join in annual traditions. It isn’t fair to expect someone with dementia to participate in conversations with large groups of people outside of their own environment. 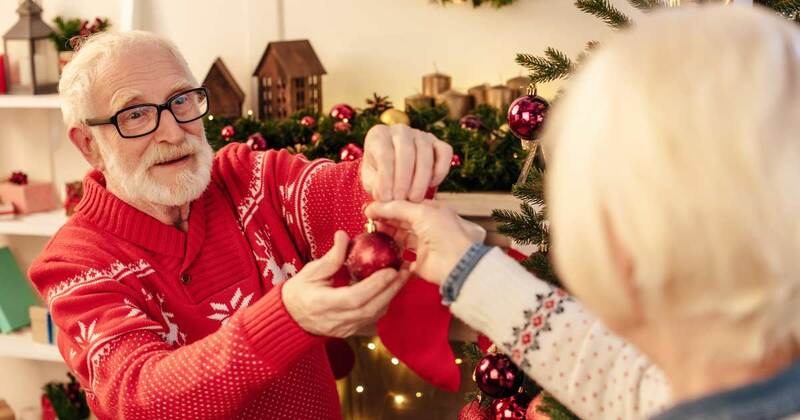 It isn’t possible to assume that someone with dementia will be “normal” for the seasonal activities. We must change it up! We have to rethink our traditions so that our time together is enjoyable for our loved one and less stressful for us as caregivers. This year, as nephews and nieces came into town for Thanksgiving, they took the time for a short visit to see my father-in-law alone in his own environment. They brought their dog and this was the focal point for the visit. My father-in-law didn’t ask about the turkey dinner. The kids were able to have him talk about the dogs he played with when he was young. Everyone enjoyed the stories and it was a moment of joy, not a stressful encounter. Over time, traditions change for many reasons. 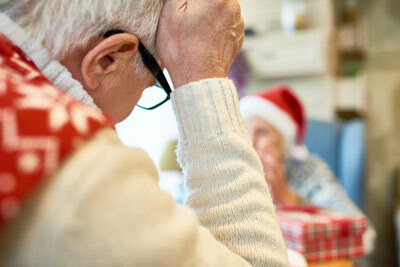 Just as my move caused me to rethink how to get into the holiday spirit through decorations, we need to rethink how we share the holiday spirit with our loved ones who are dealing with dementia. Keeping this in mind, now we celebrate the joyful moment, not the tradition!